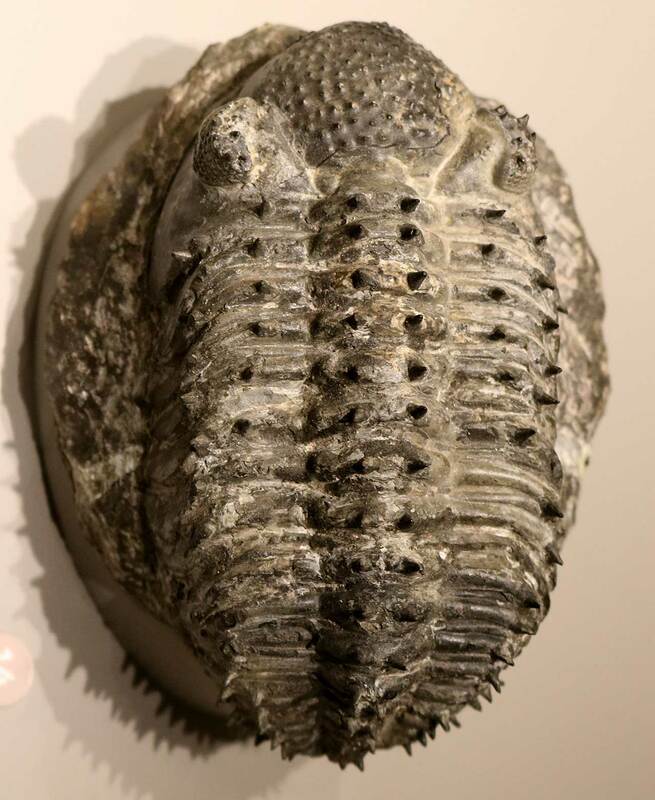 This trilobite fossil was on display at the American Museum of Natural History (AMNH) in New York city in July 2018. The trilobite fossil is named Drotops armatus. It was found in the Atlas Mountains of Morocco and dates to the Devonian Period. Accession number is Fl-84362. Donated by Andy Secher.